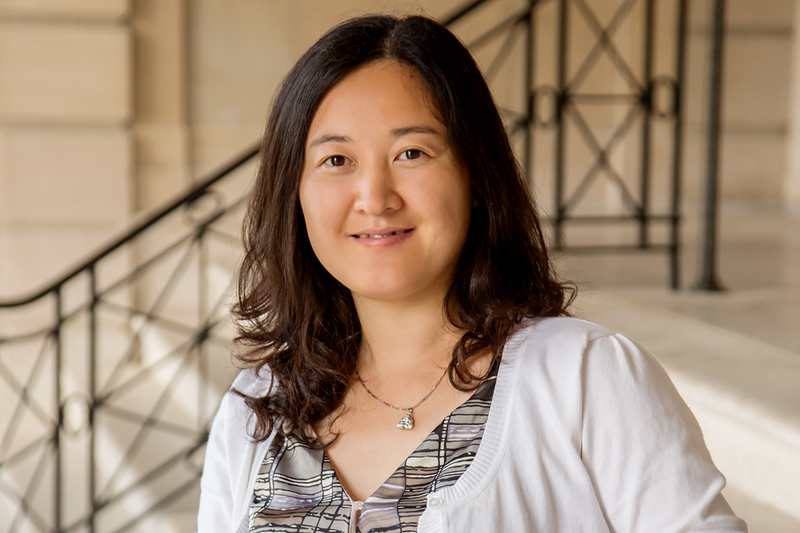 Many middle-class teens in China are embarking on study tours of university campuses in the U.S., a market sector that could be lucrative for colleges and tourism-related businesses in the Midwest, according to a new study led by Joy Huang, a professor of recreation, sport and tourism at the University of Illinois. CHAMPAIGN, Ill. — Growing numbers of families in China are sending their teens on college tours in other countries, creating a potentially lucrative market sector for universities, college towns and tourism-related businesses, a new study suggests. While the itineraries of these study tours used to concentrate on the Ivy League schools and their peers scattered along the East and West coasts of the U.S., intense competition for admission and rising tuition costs are prompting more Chinese students to look beyond the ivies to the highly ranked public universities in the Midwest, said lead author Joy Huang, a professor of recreation, sport and tourism at the University of Illinois. In 2013, more than 300,000 young people from China participated in overseas study tours. But by summer 2015, the number of Chinese teens who traveled abroad on these types of trips grew to more than 500,000 annually, according to the study. Organized by travel agencies and high schools, the two- to four-week trips to the U.S. and other developed countries typically cost Chinese families $5,000-$8,000. Huang co-wrote the study with Qian Li, then a doctoral student at the U. of I. Their paper appears in the Journal of China Tourism Research. To learn more about why Chinese teens participate in the tours and the factors that influence families’ decisions to send their children on these excursions, the researchers interviewed 30 Chinese adolescents who had traveled on a group study tour within the prior three years and 20 of their parents. Similar to the grand tours undertaken by wealthy young men in ancient Europe, the study tours typically include sightseeing and an assortment of educational and cultural enrichment experiences as well as social and recreational activities, Huang said. China’s integration into the global economy has given rise to a rapidly growing middle class that is curious about other cultures and perspectives and eager to expand their children’s knowledge beyond the Chinese educational system’s test-focused curriculum, she said. The parents interviewed said they hoped that going on the study trip would enrich their children’s educational and life experience, and foster “global perspectives” that would enhance their competitiveness in the job market after college. Accordingly, the youths said they were motivated by their desire to learn about other cultures, to experience daily life in other countries and improve their English language skills. With many of the parents’ own college aspirations derailed by China’s Cultural Revolution, they sought to fulfill those dreams vicariously by pushing their children to attend colleges in the U.S. and other countries, which they perceived as being more prestigious than the postsecondary institutions in China, Huang said. Their children were among the generations born under China’s one-child family planning policy, which began in 1979 and was phased out in 2016. Among China’s well-educated and more prosperous families, the one-child policy and exposure to Western cultural values has produced child-centered families in which the parent-child relationships are more egalitarian than in traditional Chinese culture, Huang and Li found. While much of the research on Chinese outbound tourists takes a “mass-market perspective, viewing all Chinese as a homogenous group, travel agencies and tourist destinations need to recognize the heterogeneity that exists among these travelers and adapt their products and marketing messages to these audience members’ differing perspectives,” Huang said. She suggested that tourist agencies and universities that want to appeal to college-bound Chinese teens offer diverse itineraries with a mix of educational, social and recreational activities that immerse visiting teens in campus life. The itinerary might include attending classes and sporting events, hosting talks that enable visitors to ask questions of current students and housing the visiting teens in college residence halls. Marketing campaigns aimed at the parents of these teens, however, should highlight the educational benefits and career opportunities available to students who attend the colleges they will visit, Huang said. Editor’s notes: To reach Joy Huang, call 217-244-9716; email joyhuang@illinois.edu. The paper “The grand tour in the 21st century: Perspectives of Chinese adolescents and their parents” is available online or from the News Bureau.